North Korea's state media have greatly reduced criticism of the United States and South Korea while the countries are involved in diplomatic talks. But North Korea has increased sharp words for another target: Japan. Japan has held a harder line against North Korea than South Korea or the U.S. As a result, the North has increased its criticism possibly in an effort to divide Japan from its allies. In recent days, North Korea's official media denounced Japan for discriminating against its large ethnic Korean community. And it has brought more attention to South Korean's anger over a territorial dispute with Japan. North Korea also strongly criticized Japanese Foreign Minister Taro Kono. He recently suggested that Japan provide some financial support for inspection efforts related to North Korea's planned removal of nuclear weapons. Japan ruled the Korean Peninsula as a colony from 1910 to 1945. There has been a long history of bad feelings between the sides. Japan and North Korea have never had diplomatic relations. In addition, North Korea has demanded that Japan pay for damage caused during its colonial rule. North Korea's ruling party newspaper recently repeated the demand for a full apology and payments. North Korean leader Kim Jong Un has met with the leaders of China, South Korea and the United States. But, so far, he has not met with any Japanese leaders. Prime Minister Shinzo Abe is reportedly considering a meeting with Kim. However, Japan has kept firm in maintaining economic and political pressure on North Korea. The Japanese leader could meet Kim at a Russian development meeting in Vladivostok in September. That is where Kim is expected to meet with Russian President Vladimir Putin. 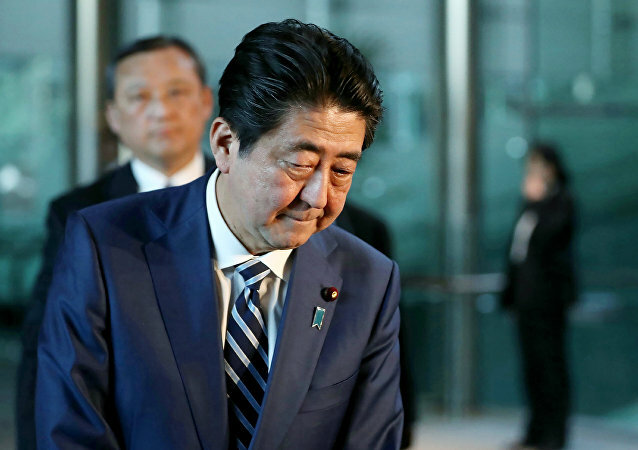 Experts note that Abe's position is difficult. The Japanese public is fearful of North Korea. Japan remains concerned about the North's medium-distance missiles although North Korea has announced a freeze on missile launches. Also, Abe aims to solve a long dispute over the fate of more than 10 Japanese citizens taken by North Korean agents in the 1970s and 80s. Japan says North Korea has not been fully truthful about their fate or whether they are still alive. North Korea, however, has said that it has dealt with the issue. Possibly the biggest problem is North Korea's demand for payment related to Japanese colonial rule. Such payment could cost Japan billions of dollars. Japan says it paid North Korea many years ago. But, experts say, changing relations between North and South Korea and the U.S. could increase pressure on Japanese leaders to reconsider North Korea's demands. So far we have had ringing declarations, but only limited action. They dealt with a slew of other issues. The Home Secretary aims to break the vicious circle between disadvantage and crime. I need some financial support for this venture. 5.As a result, the North has increased its criticism possibly in an effort to divide Japan from its allies. As a result, the bad thing has been turned into a good one. As a result, industry was overmanned and pen-pushers were everywhere. 6.As a result, the North has increased its criticism possibly in an effort to divide Japan from its allies. Mass burials are now under way in an effort to ward off an outbreak of cholera. He finally left home in an effort to counter the tyranny of arranged marriage in the old society. countern. 计算器，计算者，柜台 [计算机] 计数器 adj.